"Someone should write a book about all the different complex flavors of patronizing behavior toward patrons." Did you know that Santa, back when he was svelte, used to deliver presents on New Year's Eve and not Christmas Eve? This illustration is from The Family Magazine, 1840. "A rose is a rose is a rose because innately there is a mechanism whereby the mind understands that a unit, in spite of its individual characteristics, belongs to a composite." 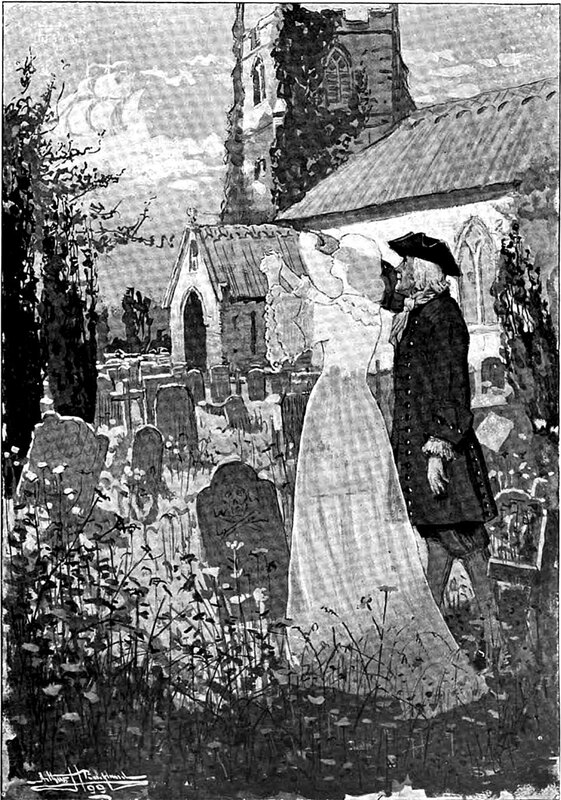 An illustration from a 1900 issue of The Windsor magazine. Marguerite Duras, when asked if death frightened her, said, "I don't know know anything anymore since I've reached the sea." Enrique Vila-Matas said, "What terrifies me about the idea of eternal death is to never be able to see the sea again, the waves breaking in winter on deserted beaches." 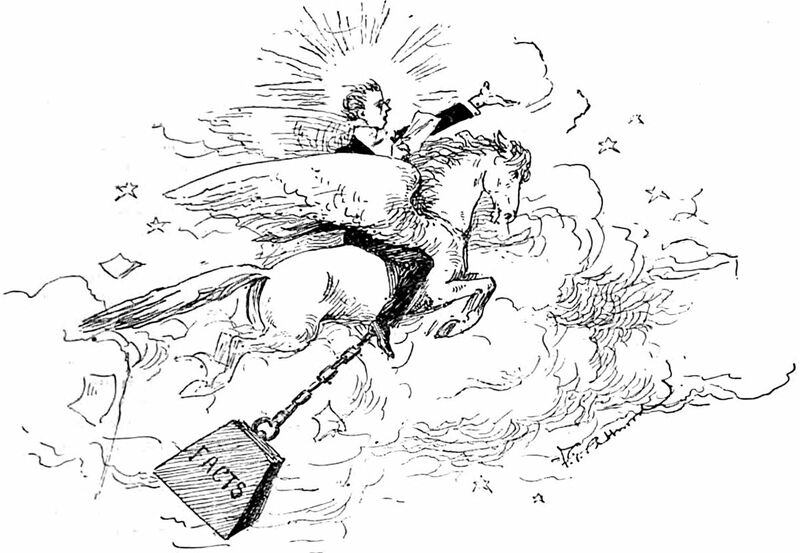 An illustration from a 1904 issue of The Windsor magazine. The caption reads: "Was it you that spoke?" "This might surprise you a little bit, but I would look for someone who had a quality that I call winsomeness." 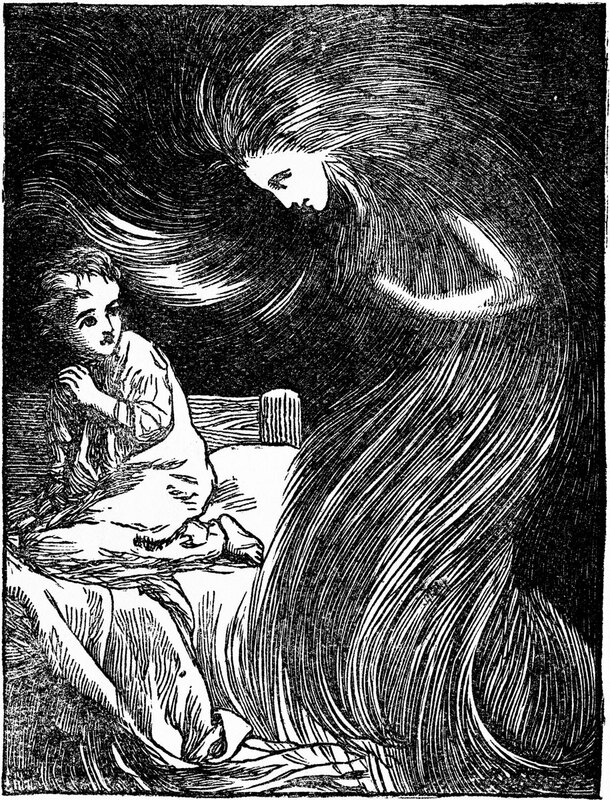 An illustration from an 1899 issue of Harper's magazine. The caption reads: "Of course tears followed." 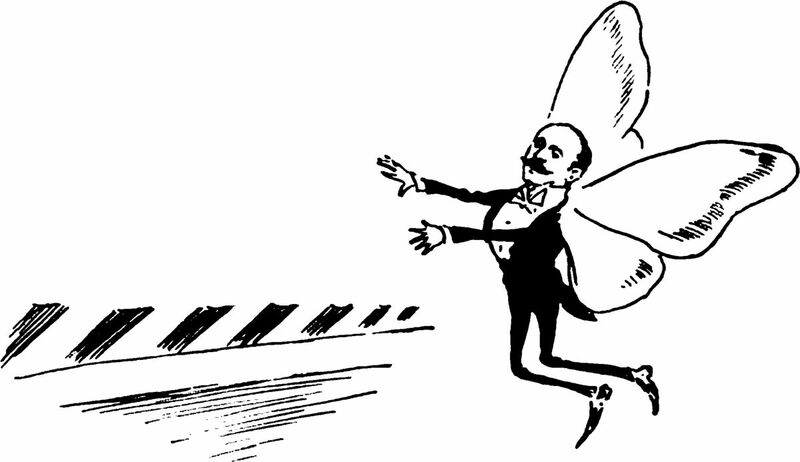 An illustration from a 1904 issue of The Windsor magazine. The caption reads: "On and on they sailed." "This may surprise you and you may not even know this, but when you leave your power and influence leaves with you." Eighty-two years before Coldplay proclaimed, "It was all yellow," everything was turning yellow in The Panama Plot by Arthur Benjamin Reeve (1918). The caption reads: "Suddenly there was the sharp cry of a woman. 'Yellow—everything is turning yellow!'" Statistics [and we realize that with good cause we've lost most of you after using that horrible, horrible word] tell us that "The weather today clearly depends on yesterday's weather. It might also depend on the weather two days ago but as a first approximation we might assume that the dependence is only one day back" (Larry Wasserman, All of Statistics: A Concise Course in Statistical Inference, 2003). Did you know that Santa's nightmare word is "unfilled"? We find proof in Life, 1918. 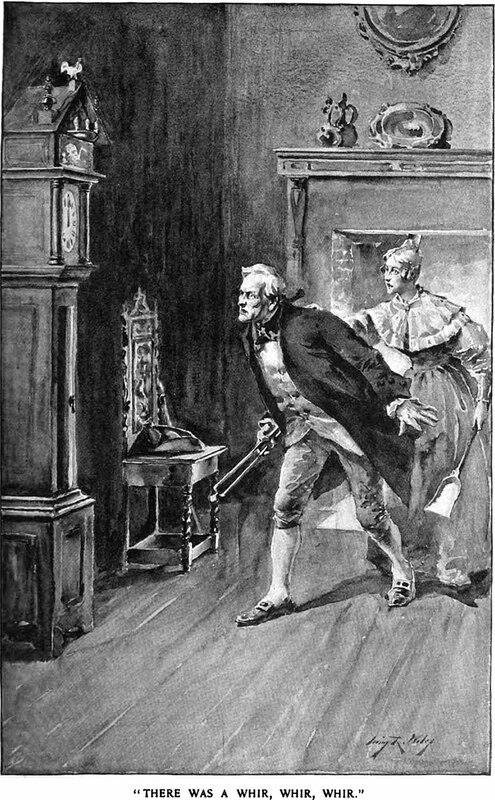 An illustration from an 1895 issue of The Canadian magazine. The caption reads: "And thus he passed into the night again for evermore." "Always remember that a house of merriment is better than a house of mourning." 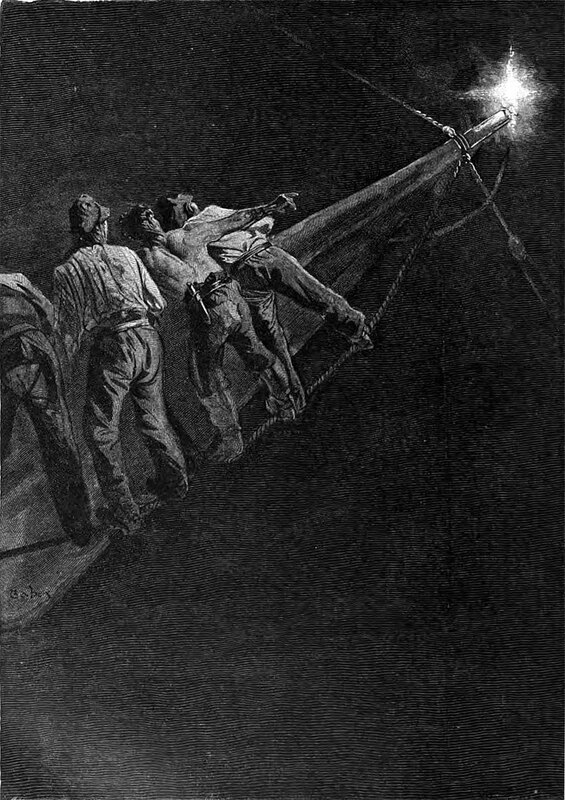 Pictured below: "Bringing in the Lump of Coal," from a 1918 issue of Life magazine. "Every Year, Every Month, Happy Days! 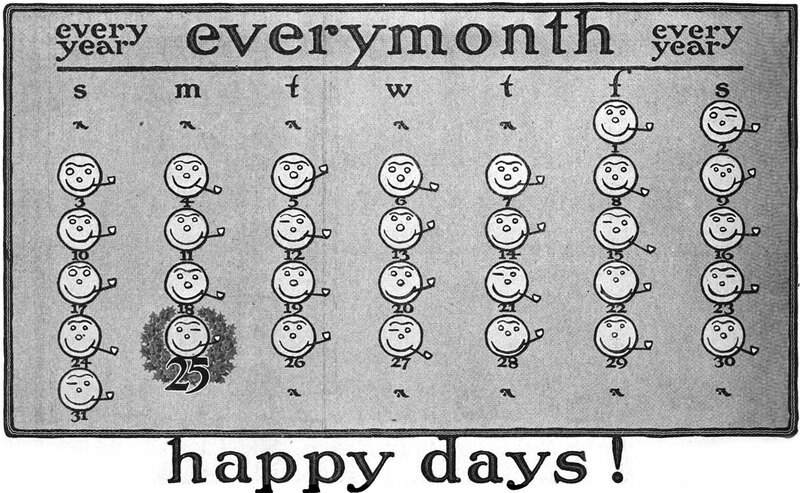 ": a perpetual calendar from a 1916 issue of Collier's magazine. 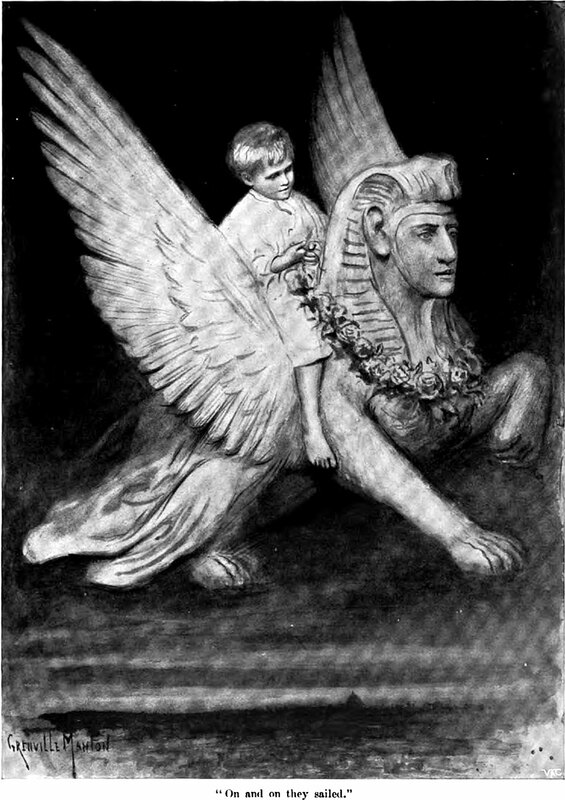 An illustration from a 1901 issue of Life magazine. The caption reads: "Christmas Night. Ancestral Greetings." 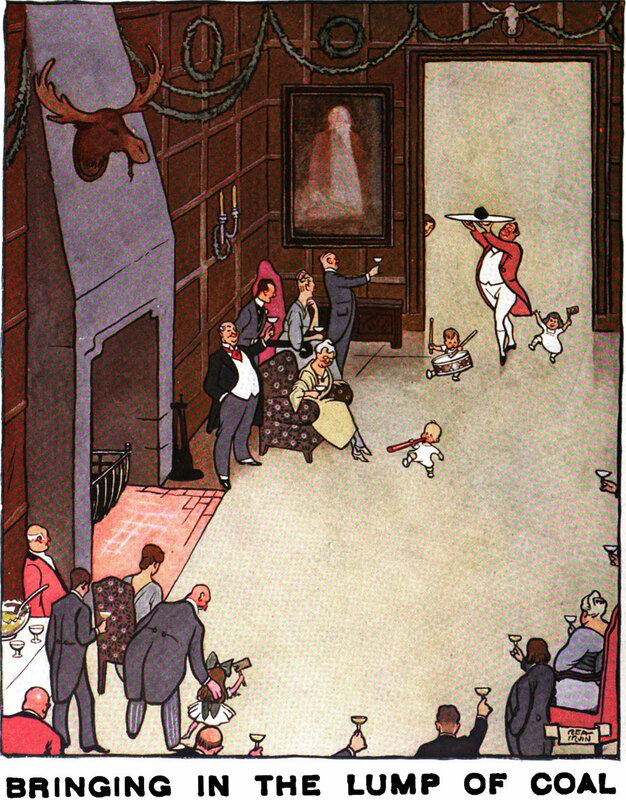 "Christmas Eve Parade": an illustration from Told After Supper by Jerome K. Jerome (1891). This will also be of interest: The Collected Lost Meanings of Christmas. Santa is haunted by children of the poor in this illustration from Life, 1918. An illustration from an 1894 issue of Century Illustrated magazine. The caption reads: "XMAS" This will also be of interest: The Collected Lost Meanings of Christmas. 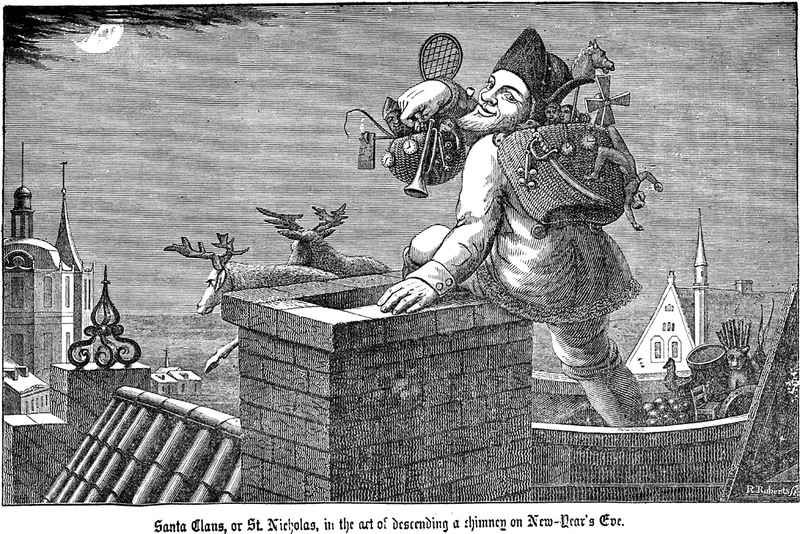 A precursor to a key scene in National Lampoon's Christmas Vacation, from Punch, 1859. This will also be of interest: The Collected Lost Meanings of Christmas. Time-traveling through old magazines, one truly does experience Einsteinian relativity. Take, for example, this illustration of "a modern home" from 1893 (Cosmopolitan Magazine). We also love how old magazines regularly long for the return of traditional holiday celebrations. Even though the holiday trappings of the 1800s meet our current ideal of olde worlde authenticity, there was a time when all that was newfangled. We can just hear the older generation back then, granting that the yule logs, holly wreaths, mistletoe, and snow effigies seem pagan enough, but if the kids only knew how things were really done back in the day! Every olden time had its own olden time, and we're left with nostalgia for nostalgia. A modern home? It's all relative. 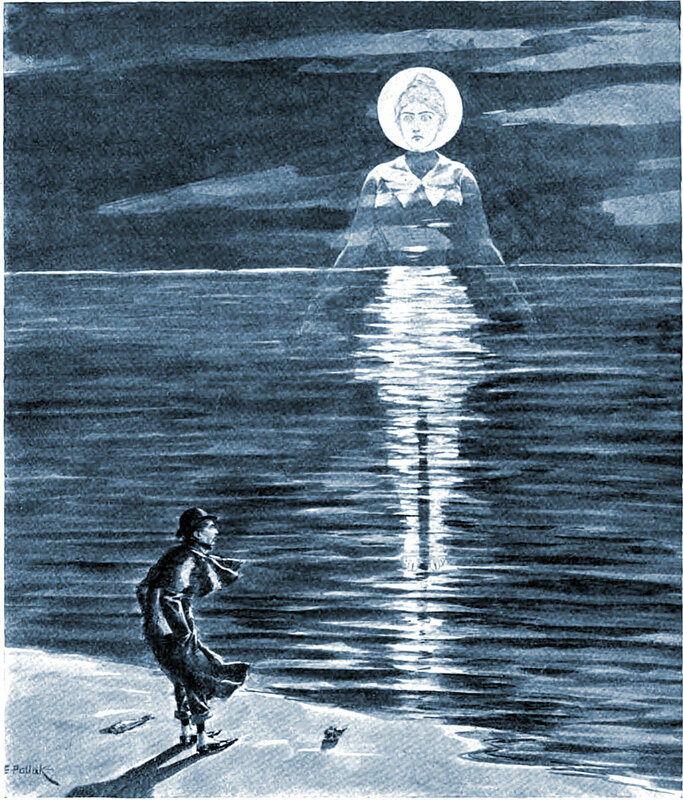 Staring into the depths: an illustration from an 1890 issue of Cosmopolitan magazine. The caption reads: "Looking intently into the heart of the fire." There are people who genuinely prefer My Fair Lady to The Sound of Music. Pictured is Iain Connell of the brilliant Scottish comedy series Burnistoun. "Lady North Wind" by Albert Hughes (1857). "It bears repeating that letting 'things be' should not be confused with indifference." Nearly a century before Dr. Seuss's Grinch stole Christmas and over a century before Tim Burton's Nightmare Before Christmas, witches were doing it in Punch (1862). This should also be of interest: How to Be Your Own Cat. 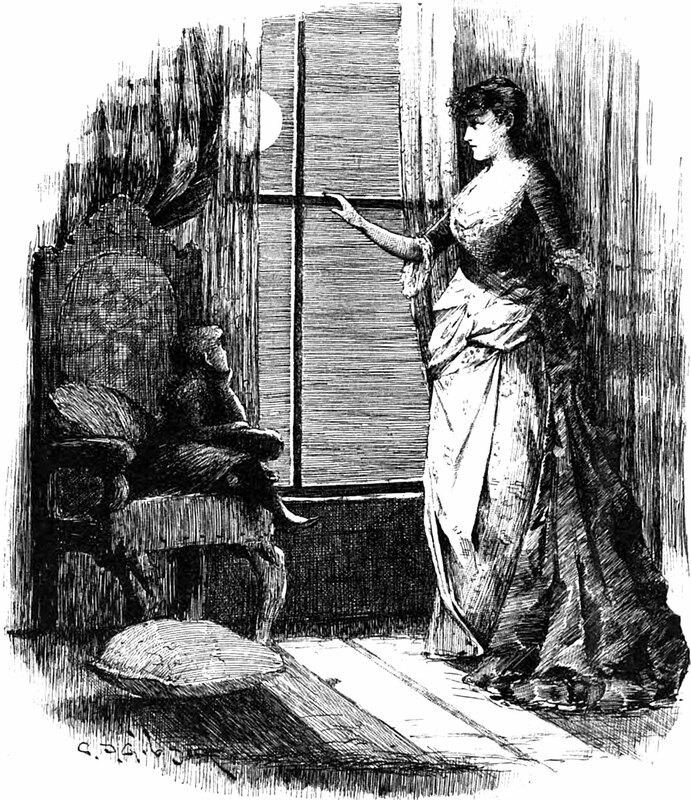 An illustration from an 1884 issue of Belgravia magazine. The caption reads: "When you see her next, give her my curse." "It's really happening! You knew it and they're proving it! Congratulations!" Did the children make the snow Buddha, or was he self-realized? From Parley's Magazine, 1842. A doll possesses a "dim, vague, blurred, vicarious, secondary consciousness of a soul embodied in an intensely loved but inanimate companion" and looks forward to encountering "the legendary doll of dolls" (John Cowper Poyws, Porius). The text reads, "Dolls never contemplate the past (except for those in a vacuum). 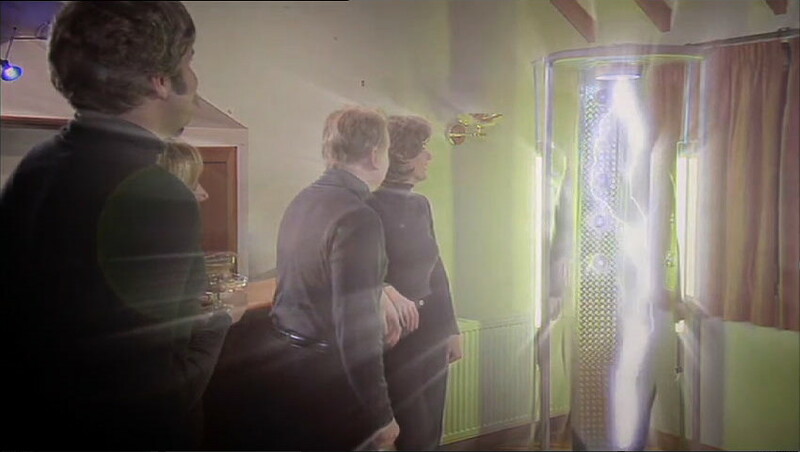 Figurines suspended in a vacuum, like the theorems of mathematics, are outside of time." 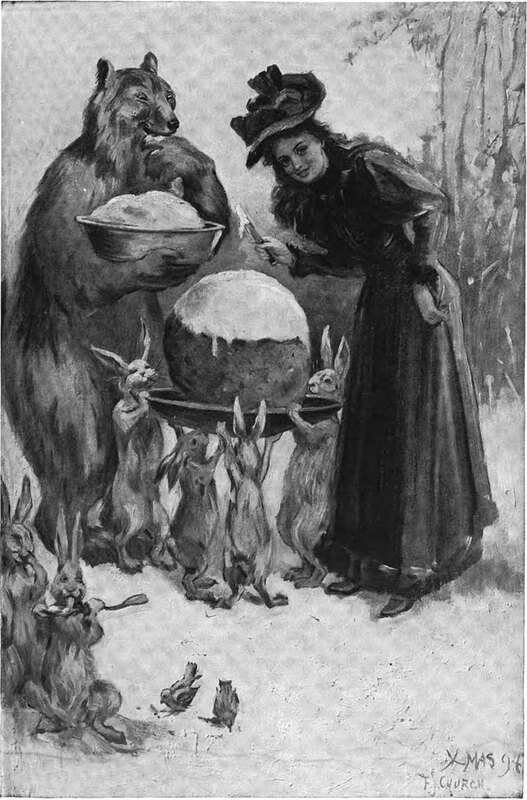 Listening to a snowball, from Guernsey's magazine, 1882. "In truth, everything is already healed right now." We don't necessarily "take requests," but truth be told we rarely turn down a fun challenge. A friend, Dorothy, saw "exclamation point" malapropped as "acclamation point." Another friend, Jonathan, wished there were an acclamation point. "It would come in handy when a bunch of readers wanted to applaud somebody's blog post, or whatever." Dorothy further suggested an "acclimation mark, for when you finally get the hang of something. Someone should make those marks. And do a blog post on them." We felt it important that the acclamation and acclimation points be typeable and not merely artist's renderings. So we'll note the Unicode entity identifiers for each mark. Let's begin with our favorite acclamation point — complete with a demonstrative waving flag. Type a regular exclamation point, then a triangular dingbat next to it. Superscript the dingbat to raise it up the flagpole. The dingbat we use is Lucida Grande #8227. Another acclamation point represents a martini glass raised in a toast (the Y portion is like the cross-section of a glass). It's Lucida Grande #7924. A third acclamation point communicates vocal approval. A big circular mouth engulfs the dot. It's Lucida Grande #0664. The first acclimation point signifies Dorothy's concept of "getting the hang of something." It features a dot at both the top and bottom, as if the mark were hanging from itself. It's Lucida Grande #7883. The second acclimation point represents acclimatization as symbolized by an umbrella. It's Ludica Grande #7788. "Always remember that there is a photo in every situation, it's just a matter of how closely you look to find it." "[A]propos of nothing. 'It always happens in threes.'" Geof Huth contends that "There is no opposite of potato." He may be correct, and we'll be open to agreement once we're finished peeling all these "negative potatoes" (a.k.a. "antipotatoes). 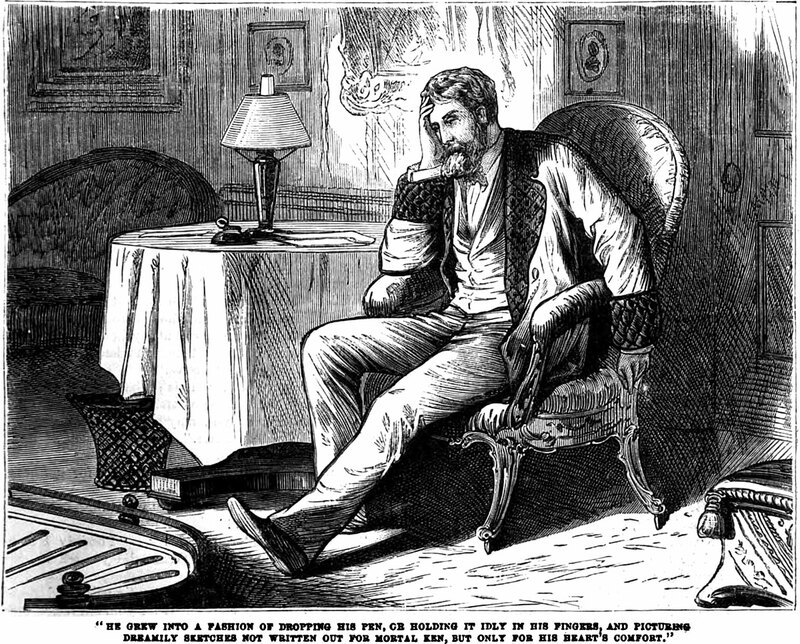 An illustration from an 1873 issue of Peterson's magazine. 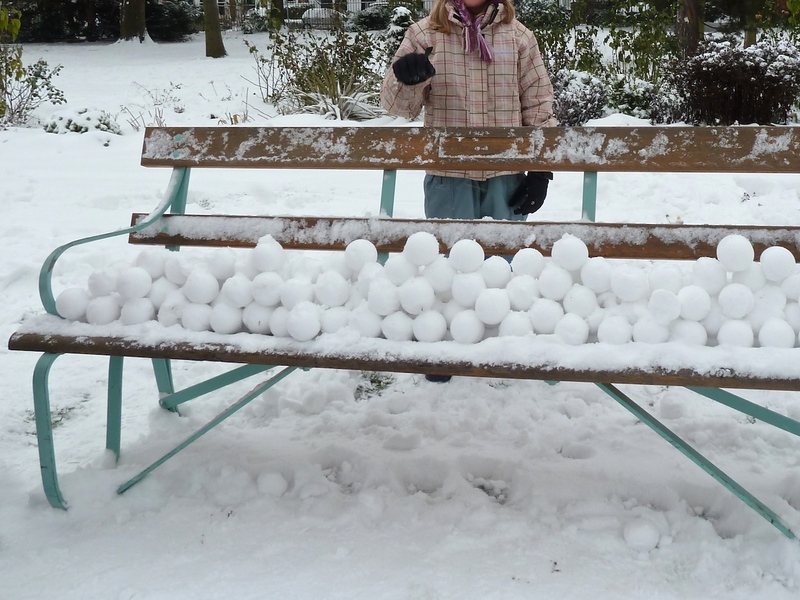 "Get the snowball rolling, and it may surprise you how fast it grows." 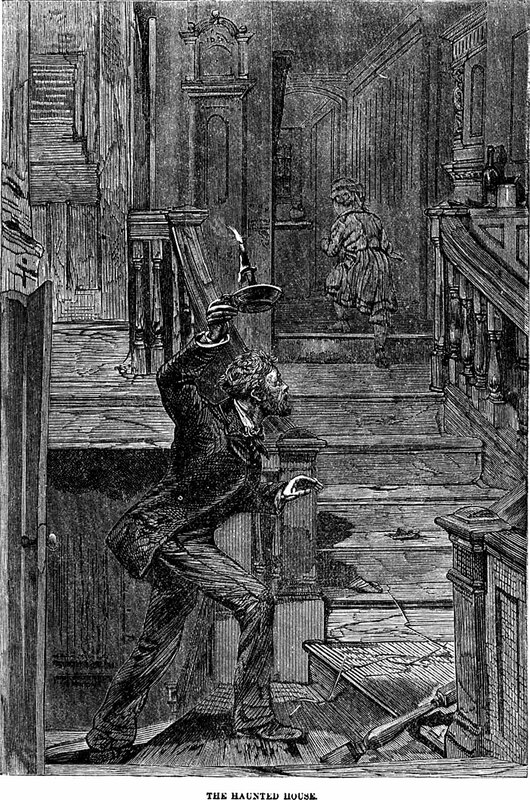 "The Haunted House": an illustration from an 1879 issue of Peterson's magazine. 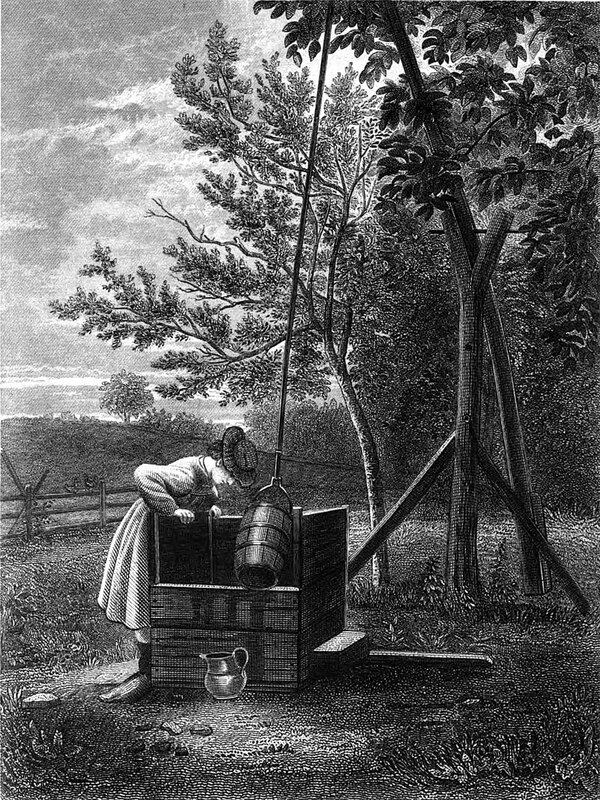 An illustration from an 1887 issue of Life magazine. I dreamed again about a coordinating conjunction. It said the clauses in our sentence were long and contained internal punctuation used to separate long items in a series. This was what I wanted to hear: it meant that I belonged in the sentence. But for some reason I felt certain that the conjunction was lying. [And this may surprise you:] "Your mood today is often a response to yesterday's weather." —Weekly World News, May 4, 1999. This piece is dedicated to Teresa of Frog Applause. 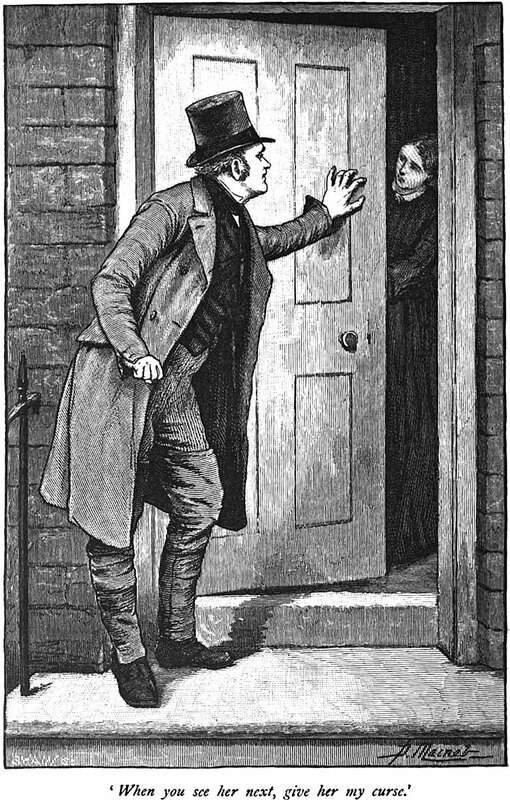 An illustration from an 1879 issue of Frank Leslie's Popular Monthly magazine. 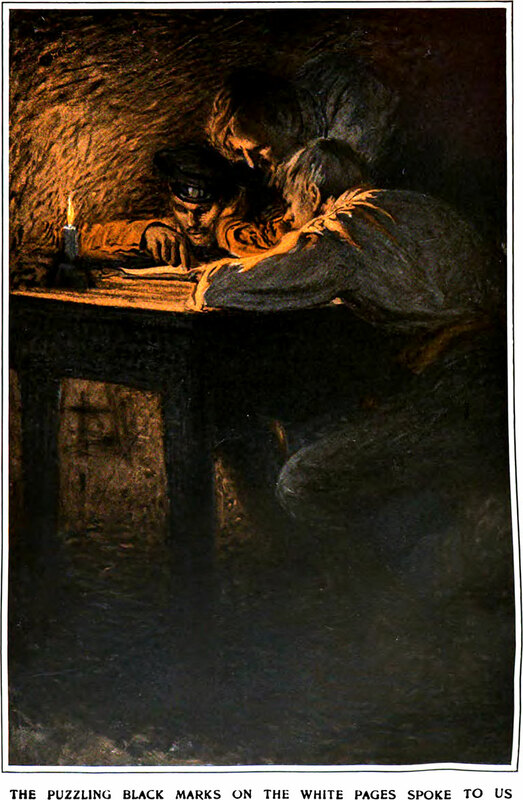 The caption reads: "He grew into a fashion of dropping his pen, or holding it idly in his fingers, and picturing dreamily sketches not written out for mortal ken, but only for his heart's comfort." Here's a precursor to the self-referential prose fictions of postmodernism: "The Story of a Story" by Helen W. Pierson, from Frank Leslie's Sunday Magazine, 1884. "'Someone should write a book about the dedicatees of the great poets." 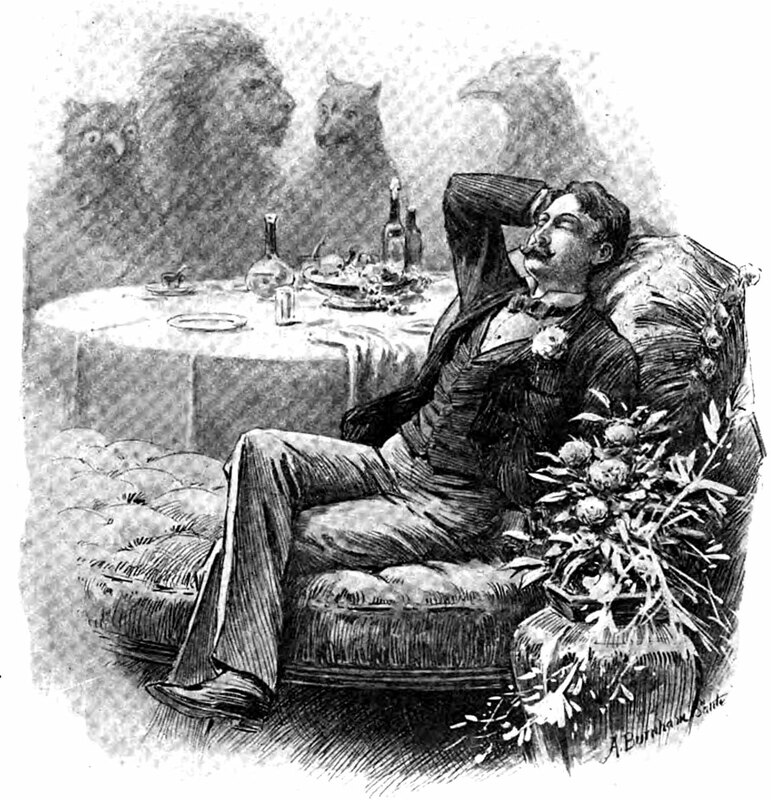 Above: An illustration from an 1894 issue of Frank Leslie's Popular Monthly magazine whose caption indicates that the faces of the subject's companions were transformed. 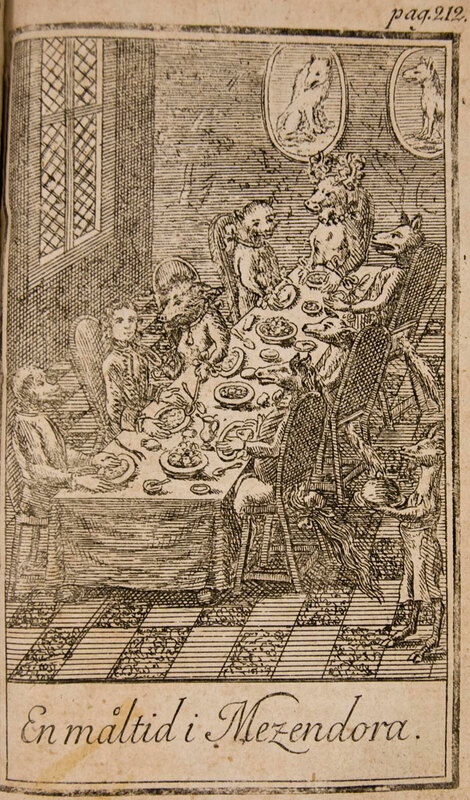 Below: An illustration from Niels Klim's Journey Under the Ground (1767) by Baron Ludvig Holberg. 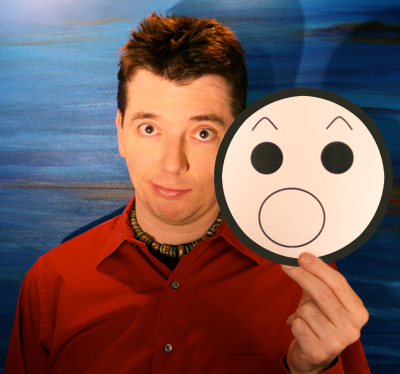 We so often assume that our waking life influences our dreams, but Jeff Hawkins knows it's the other way around. He notes: "Funny that my dreams can so powerfully influence my waking life, while my waking life has so little influence over my dreams." We couldn't resist a diagram. Bleeding ink and Google's scanning machine combine to form an aptly titled "Pairing." 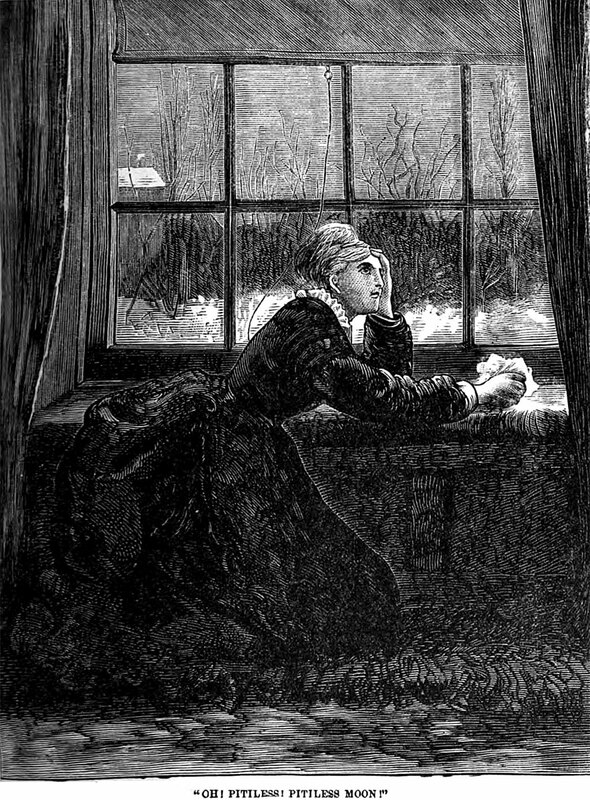 The illustration is from Peterson's magazine, 1877. A master of practical esoterica, Prof. Oddfellow (a.k.a. the inimitable Craig Conley) follows in the footsteps of magicians throughout history in tracing his lineage to a potent fabulous ancestor, in this case Elizabeth of York, the mother of Henry VIII and the woman immortalized as the Queen of Hearts in the familiar deck of playing cards we've all seen. Instead of climbing the family tree back toward Elizabeth, though, Conley begins with her and comes down through history toward himself. This approach makes perfect sense to anyone bent on establishing a blood connection to a particular figure from the past, and it seems to involve less risk of falling down the wrong genealogical rabbit hole. ... [Heirs to the Queen of Hearts: Tracing Magical Genealogy is] a wonderful new addition to his teeming brood of bibliomantic offspring. Here's a strange moment in the pitch-perfect Scottish comedy series Burnistoun. An illustration from an 1888 issue of Century Illustrated magazine. "Somebody should write a book someday about the silences in Scripture." 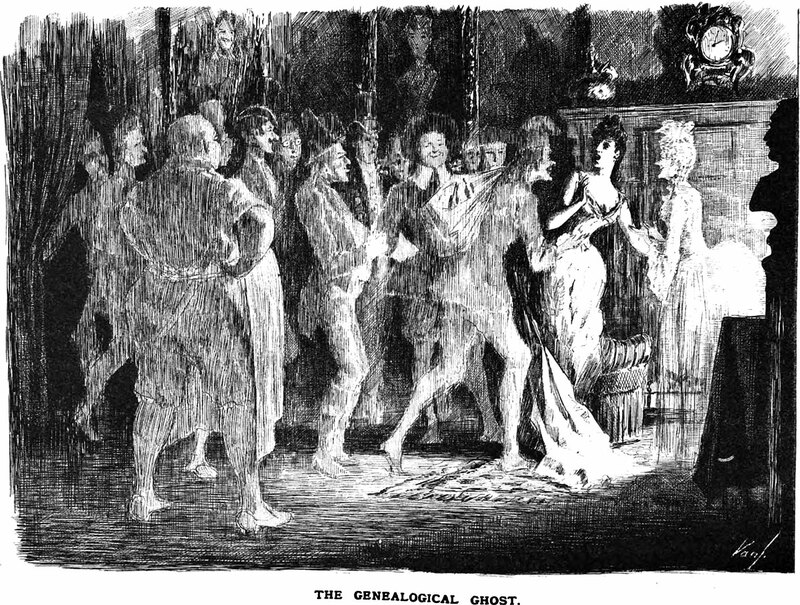 "The Genealogical Ghost": an illustration from an 1886 issue of Life magazine. 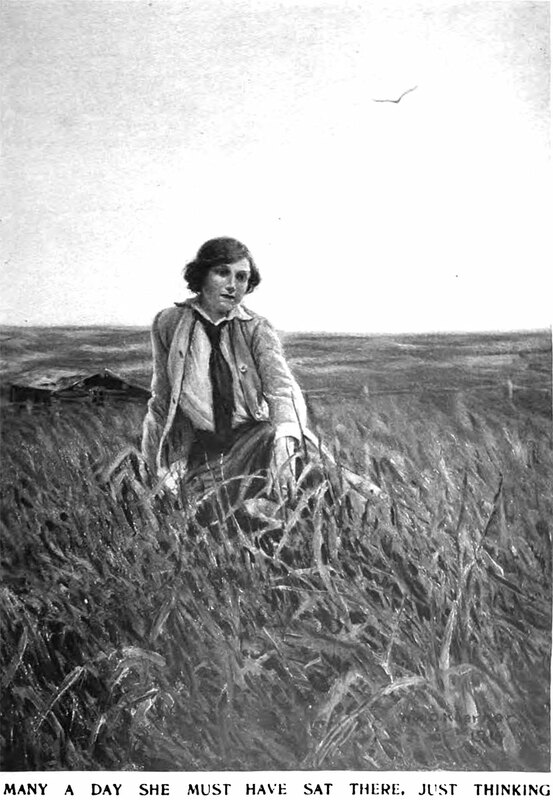 An illustration from a 1916 issue of Green Book magazine. 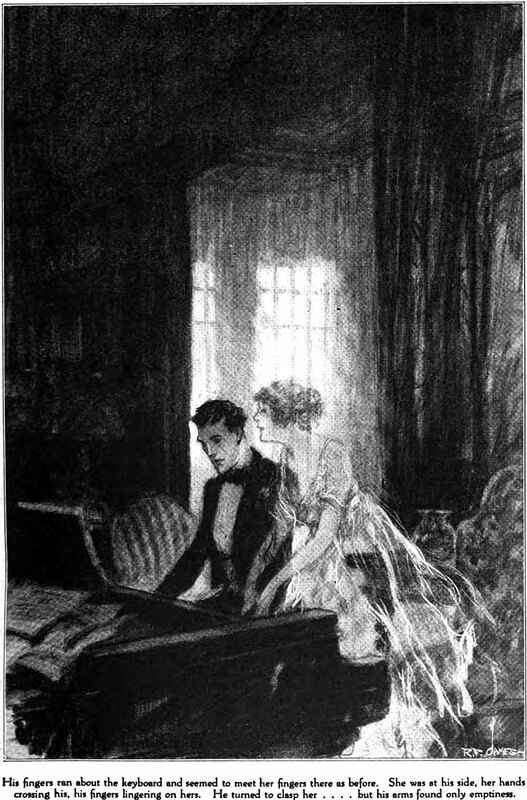 The caption reads: "His fingers ran about the keyboard and seemed to meet her fingers there as before. She was at his side, her hands crossing his, his fingers lingering on hers. He turned to clasp her . . . but his arms found only emptiness." An illustration from an 1894 issue of Century Illustrated magazine. The caption reads: "There was a whir, whir, whir." An illustration from an 1898 issue of Cosmopolitan magazine. An illustration from an 1870 issue of Peterson's magazine. An illustration from an 1894 issue of Century Illustrated magazine. 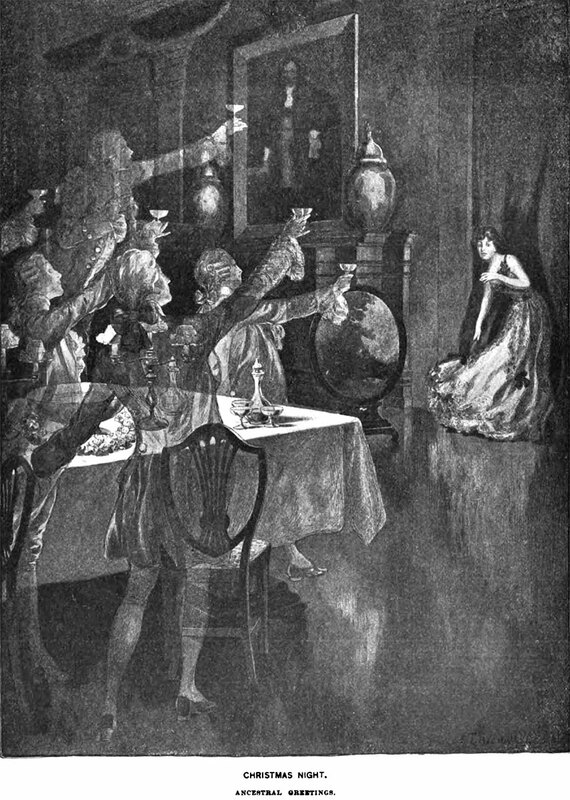 An illustration from a 1908 issue of Harper's magazine. The caption reads: "The puzzling black marks on the white pages spoke to us." Eighty-four years before Tim Burton introduced Jack Skellington in The Nightmare Before Christmas, L. Frank Baum's The Road to Oz featured another pumpkin-head named Jack. We're devastated to report that the piece on "Forecasting Yesterday's Weather" in NewScientist (Sept. 20, 1979) doesn't live up to its fascinating title. We had so hoped that predicting past atmospheric conditions would be more accurate than predicting future ones, but it would seem that meteorologists can't even correctly describe current conditions. 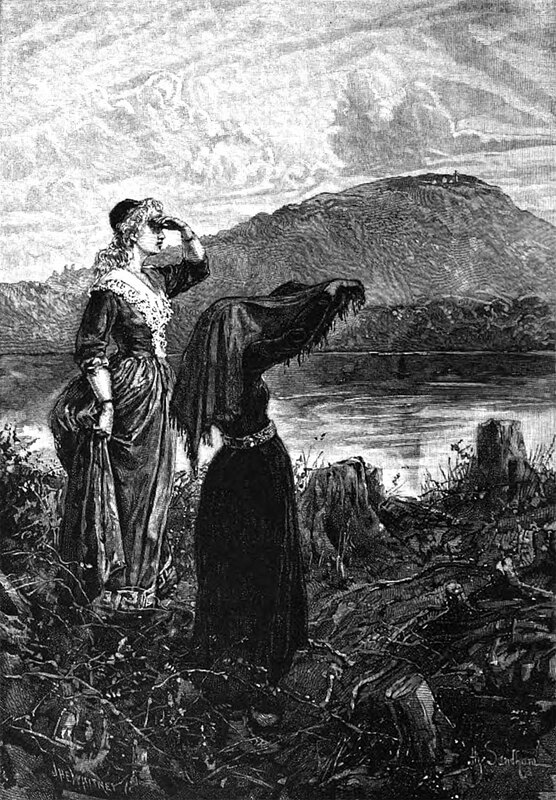 An illustration from an 1876 issue of Peterson's magazine. The caption reads: "Oh! Pitiless! Pitiless Moon!" Children's staring contests with animals were apparently all the rage in the late 1800s, if these illustrations from Peterson's magazine are any indication. 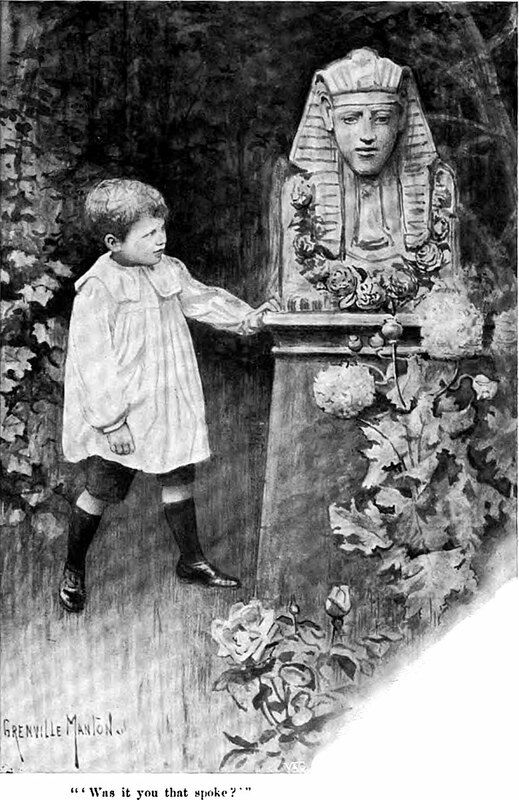 This child staring at a dog is from Peterson's magazine, 1889. 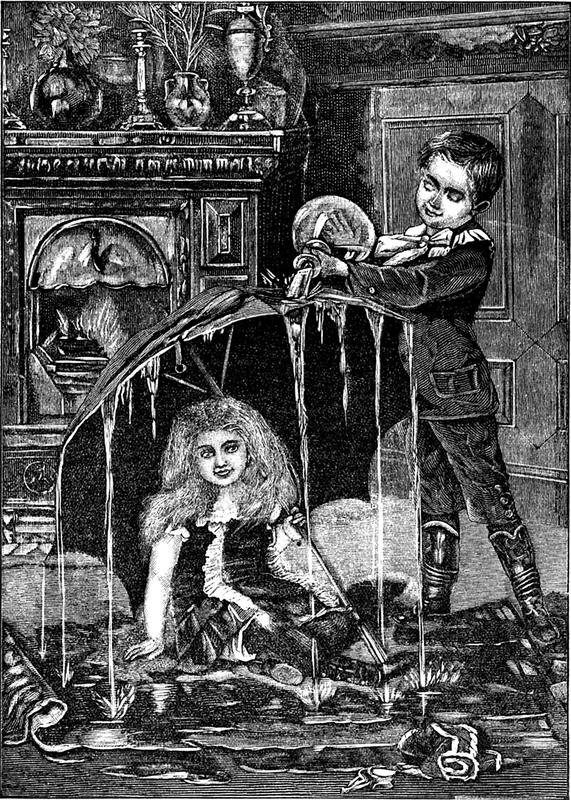 This child staring at a turkey is from Peterson's magazine, 1889. This child staring at a rooster is from Peterson's magazine, 1860. 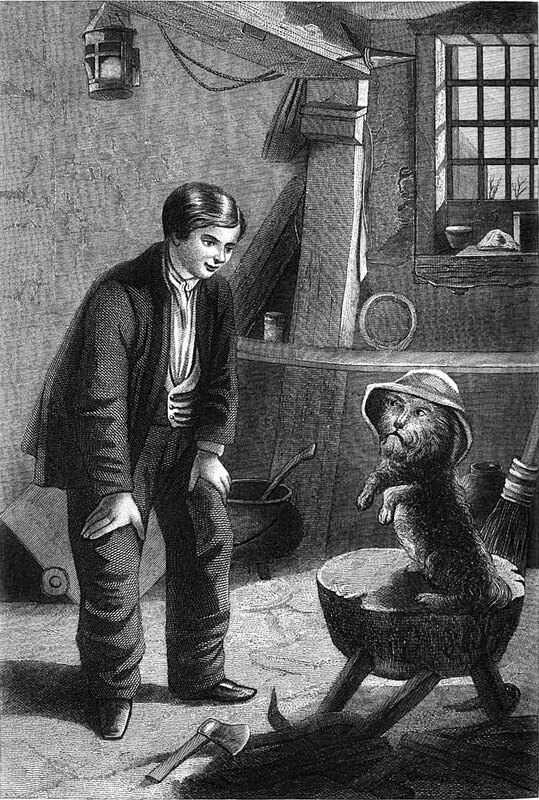 This child staring at a dog is from Peterson's magazine, 1876. If William Makepeace Thackeray's "Mahogany Tree" falls in the four rests and there's no one to hear it, is it compositionally sound? This precursor to the great Charles Fort (complete with a shower of frogs) appears in Punch, 1867. Here's the opening piano solo from the film The Exorcist (1973) being played back in 1877 (London Society magazine). Totally tubular! 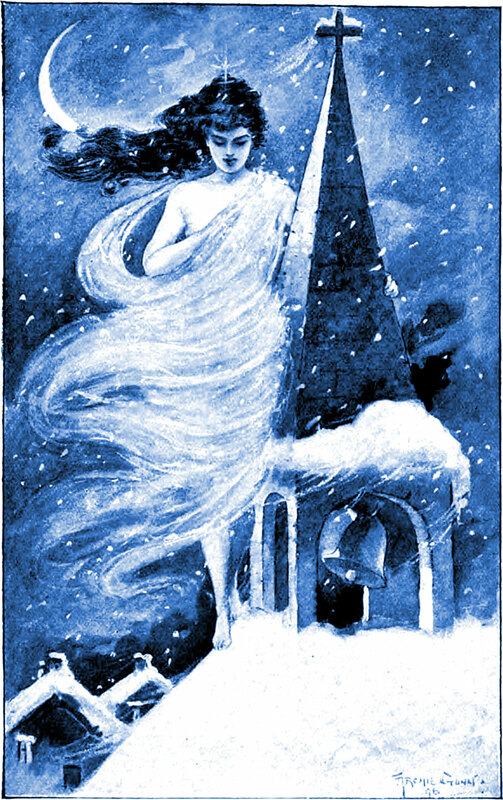 An illustration from an 1898 issue of Cosmopolitan magazine. The caption reads: "Were chewing sailor boots in ecstasy." From Prof. Oddfellow's sketchbook. You've heard that they have hundreds of words for snow, but did you know ... Eskimos have thousands of compound words for snowball. 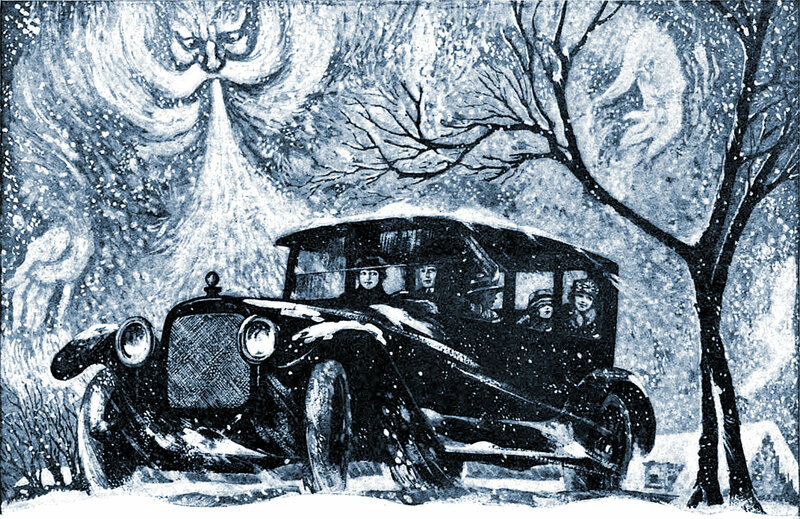 An illustration from a 1919 issue of Everybody's magazine. 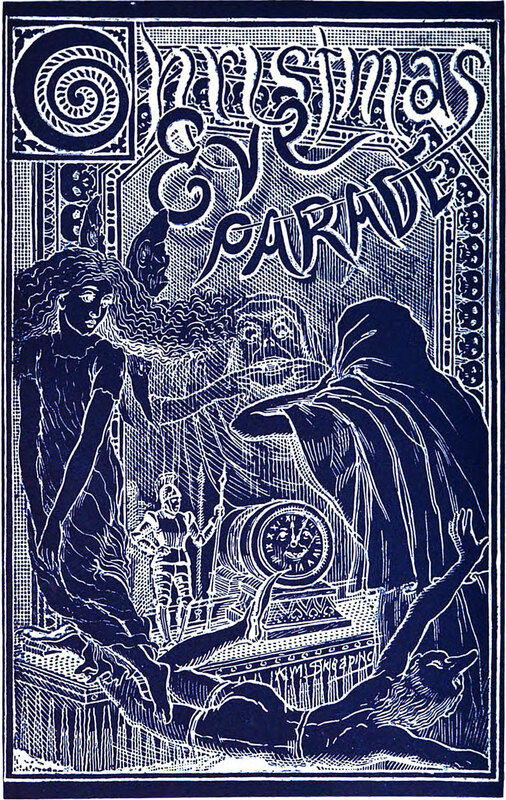 An illustration from a 1901 issue of McClure's magazine. The caption reads: "Filled my bosom full of smothered language." "Every bubble is the product of some form of irrational exuberance." "Underlying every bubble is what I call a Big Truth." "Every bubble is coming from the atman, soul, your being." "Most bubbles are very friendly." Everybody's doing this now. From Punch 1849. This puzzle encodes a familiar expression. Can you decode it? Hint: The expression originated in the armed forces. 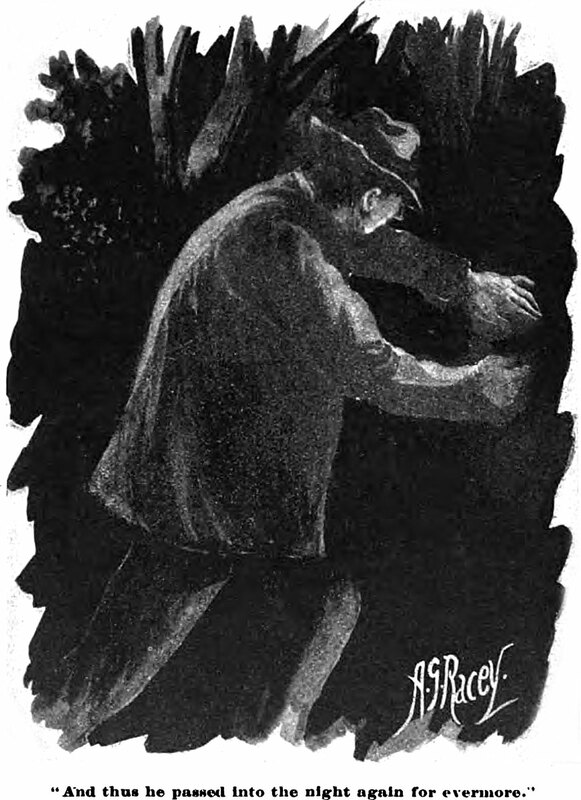 An illustration from an 1896 issue of Munsey's magazine. This will also be of interest: The Collected Lost Meanings of Christmas. 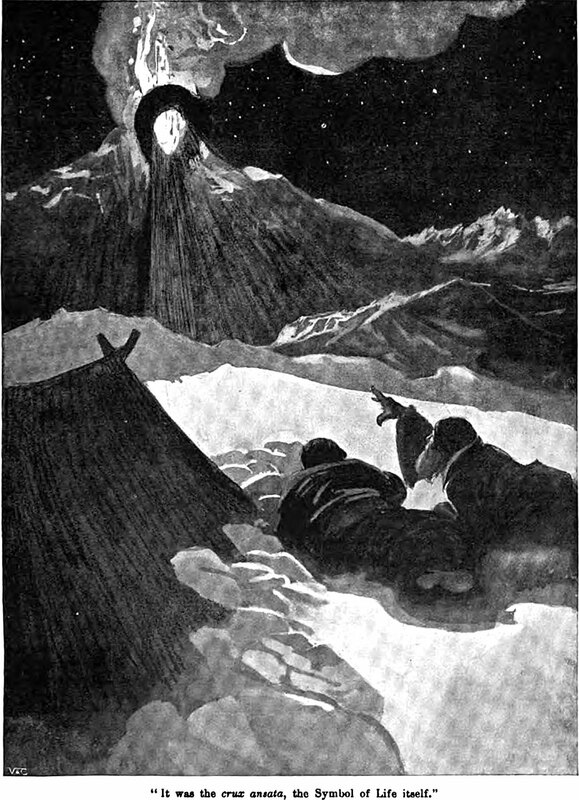 An illustration from a 1914 issue of Harper's magazine. The caption reads: "Many a day she must have sat there, just thinking."